Continental Foods is a leading food provider with operations across Europe. To gain greater insight into the performance of each of its products in various locations, the company deployed IBM® Planning Analytics software on IBM Cloud™. By enabling the company to tailor its offering to demand, the solution helps boost sales. 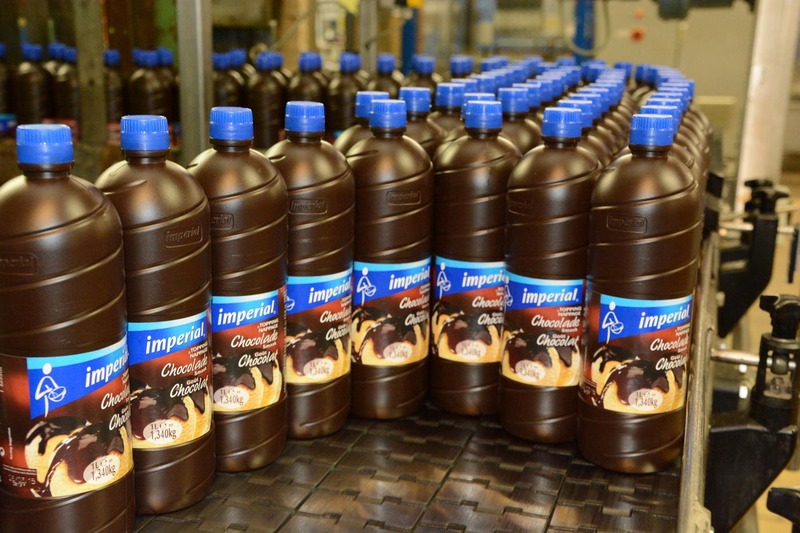 Continental Foods has grown rapidly because of its wide product range that meets various local tastes. To continue expanding, it set out to more closely track product performance. The company implemented the Planning Analytics solution on IBM Cloud to gain a more granular view of product sales, helping it build accurate forecasts that underpin more effective decision-making. Taste is notoriously subjective, with eating habits and preferences shifting significantly between countries and regions. What the residents of one country consider delicious, their neighbors may view as much less appetizing. Continental Foods is a sector leader for soups in several European countries and also markets many popular sauce brands. The company built its long-term success on a deep understanding of how tastes differ across Europe. To ensure long-term sustainability and provide a solid platform for future growth, Continental Foods is constantly seeking to innovate by releasing fresh new food brands. To make sure that it can quickly change tack if new products sell poorly, the company wanted to gain more detailed insight into its operations across Europe to support efficient budgeting processes and enhance decision-making. To power better business decisions, Continental Foods chose to implement IBM Planning Analytics solution hosted on IBM Cloud. Using the technology, the company optimizes creation of its annual budget, generation of financial reports, and analysis of historical and projected data. Continental Foods uses the Planning Analytics software to track actual sales and compare them with forecasts on a monthly basis. Quarterly, the company reviews its budget and updates its forecast for the year. Using historical data from the past five years, Continental Foods assesses how different business areas grow or contract over time, giving it groupwide insight into performance. For each stock keeping unit (SKU) and material number, the company can use the solution to extract net sales in each country in which it operates, along with gross sales, enabling it to pinpoint the products that perform best in each location. By implementing the new solution, Continental Foods extends insight into its operations across Europe and helps ensure that its products are well-suited to their target markets. With ongoing insight into customer demand and how it varies from geography to geography, Continental Foods can adapt its strategy with greater agility than competitors, gaining a key advantage. Moving to the latest version of Planning Analytics software, Continental Foods is unlocking new efficiencies for users. Specifically, the company is reducing the time spent on report generation, system maintenance and troubleshooting. Multiple users can work on the same data in parallel without issues with version control, enabling greater productivity. Continental Foods is one of Europe’s leading food companies, with headquarters in Puurs, Belgium. The company also has operations in Finland, France, Germany and Sweden. With over 1,000 employees, Continental Foods achieves approximately EUR 400 million in annual net sales. IBM Analytics offers some of the world’s deepest and broadest analytics platforms, domains and industry solutions that deliver new value to businesses, governments and individuals. For more information about how IBM Analytics technology helps transform industries and professions with data, visit ibm.com/analytics. Follow us on Twitter at @IBMAnalytics along with our blog at ibmbigdatahub.com and join the conversation: #IBMAnalytics. © Copyright IBM Corporation 2019. 1 New Orchard Road, Armonk, New York 10504-1722 United States. Produced in the United States of America, March 2019. IBM, the IBM logo, ibm.com, and IBM Cloud are trademarks of International Business Machines Corp., registered in many jurisdictions worldwide. Other product and service names might be trademarks of IBM or other companies. A current list of IBM trademarks is available on the web at “Copyright and trademark information” at ibm.com/legal/copytrade.shtml.